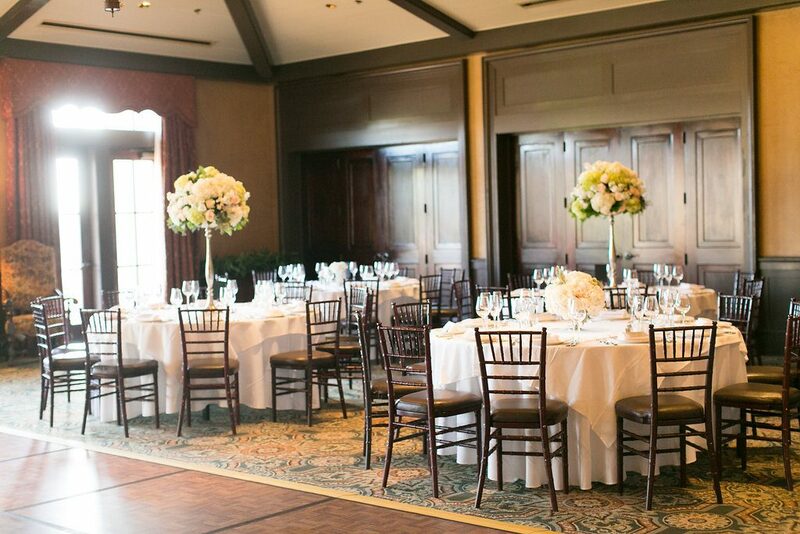 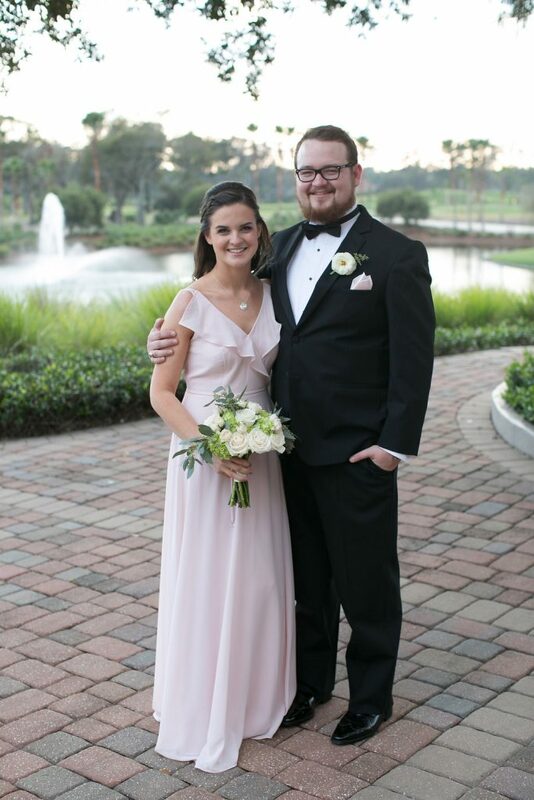 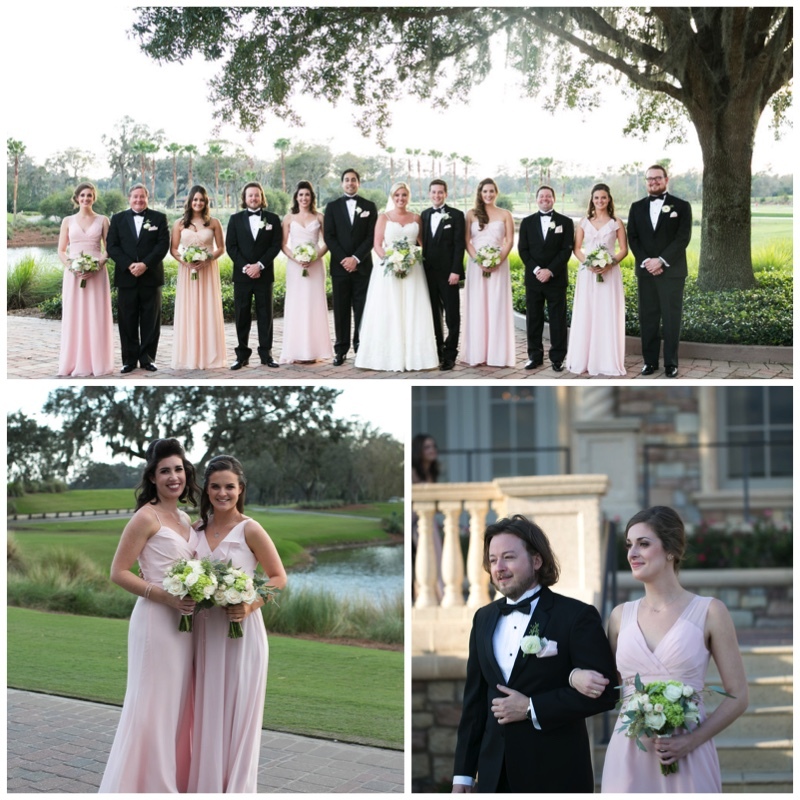 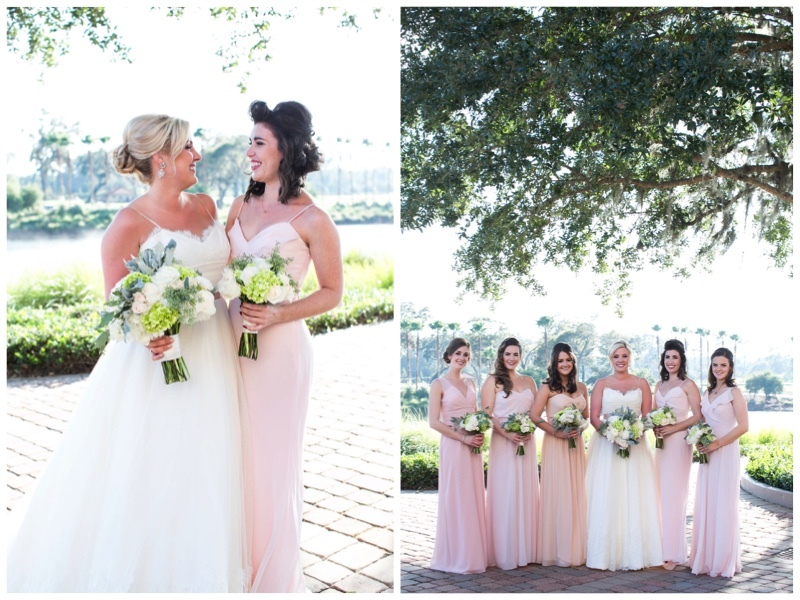 Winter romance was in the air when Hannah and Jason said “I do” in a beautiful outdoors ceremony followed by a wintry romantic reception at TPC Sawgrass. 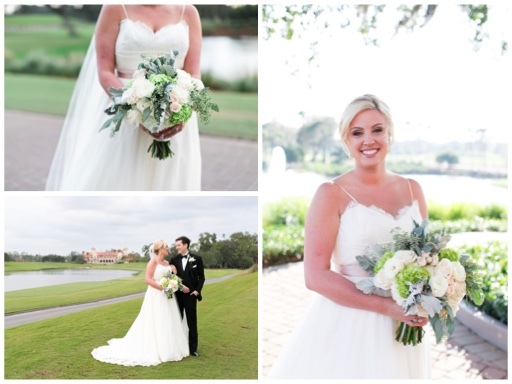 Hannah was an absolute joy to work with and we loved being able to create her floral vision. 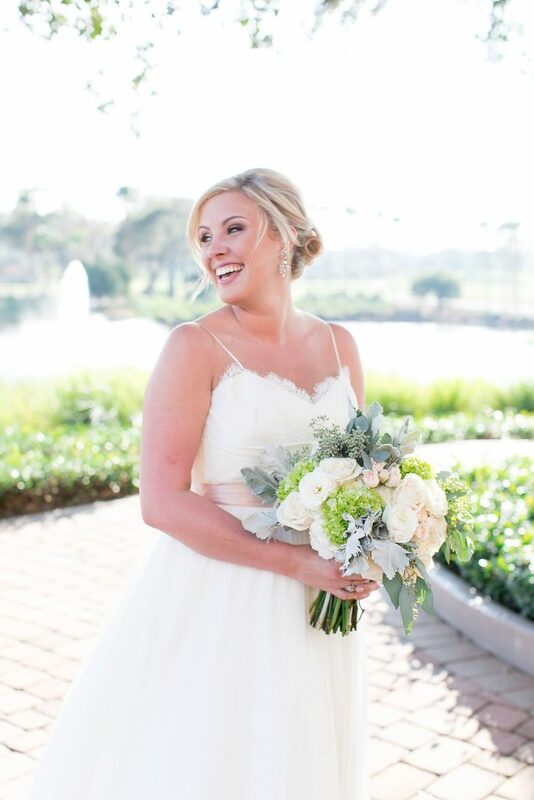 Hannah’s bouquet was created with hydrangeas, mini hydrangeas, blush spray roses, ivory roses, white ranunculus, seeded eucalyptus, and dusty miller. 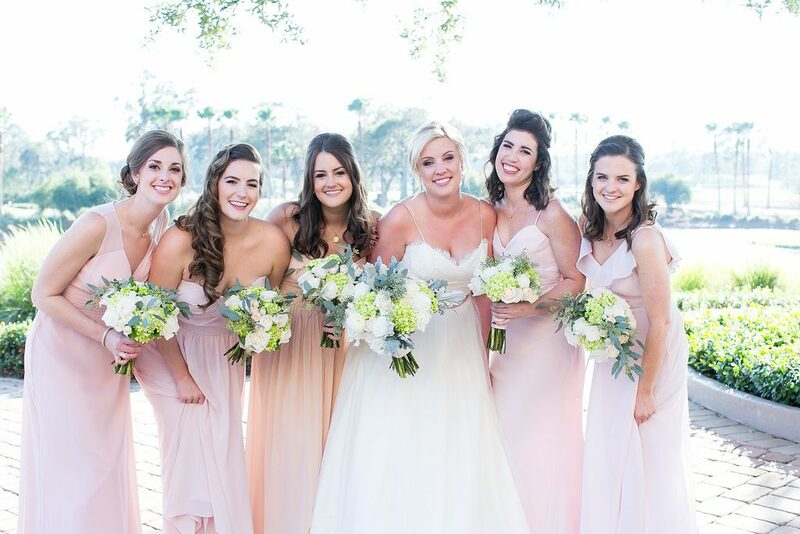 Hannah’s girls carried bouquets of light pink spray roses, mini hydrangeas and ivory roses with touches of seeded eucalyptus. 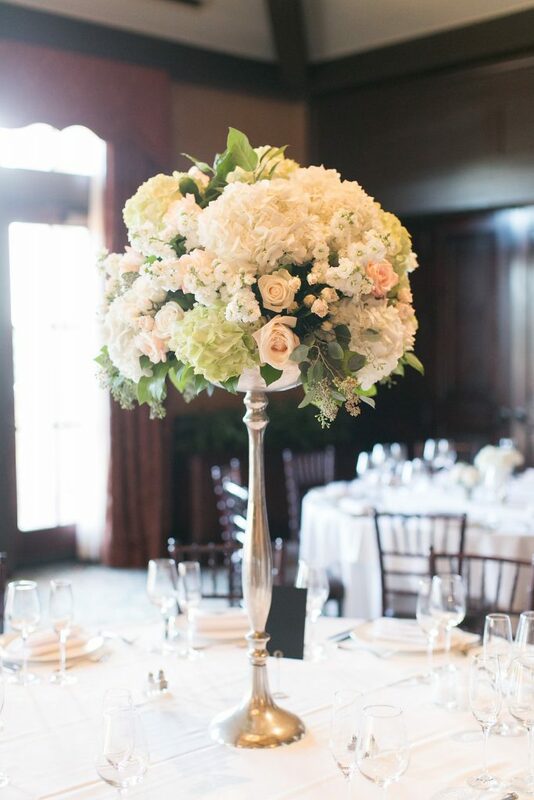 They complimented Hannah’s bouquet perfectly. 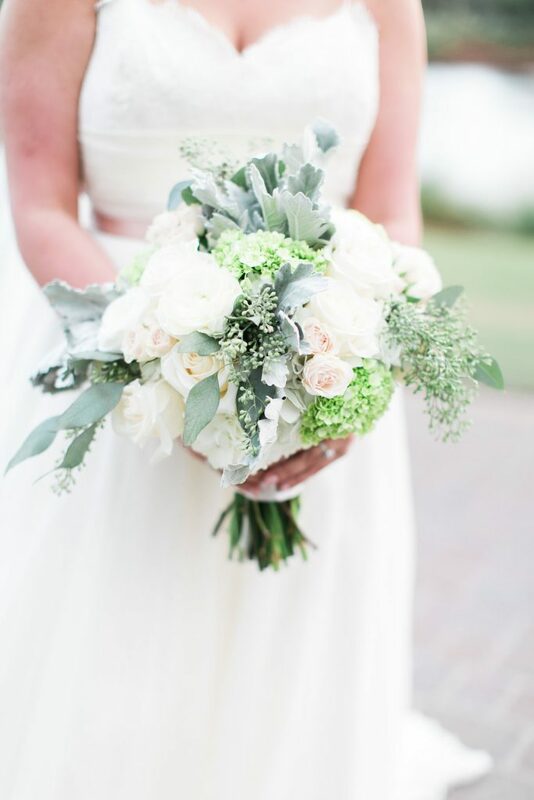 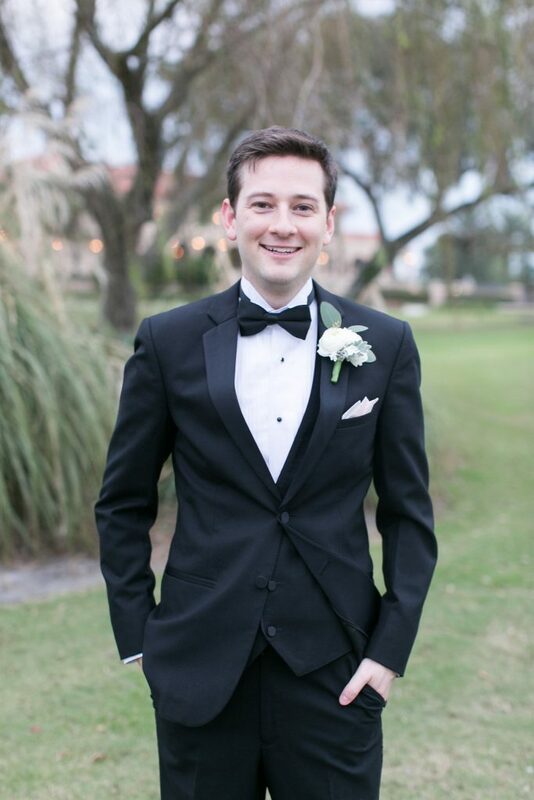 Jason’s boutonniere was made of ranunculus, seeded eucalyptus and dusty miller. 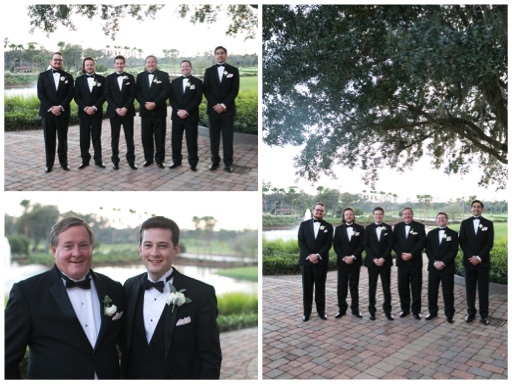 His groomsmen wore ones of ranunuclus with a touch of seeded eucalyptus. 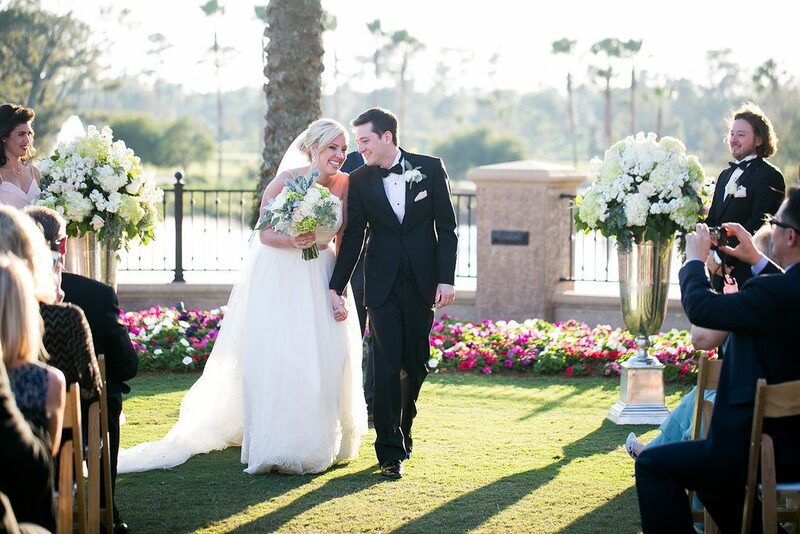 Hannah and Jason became husband and wife at a ceremony at TPC. 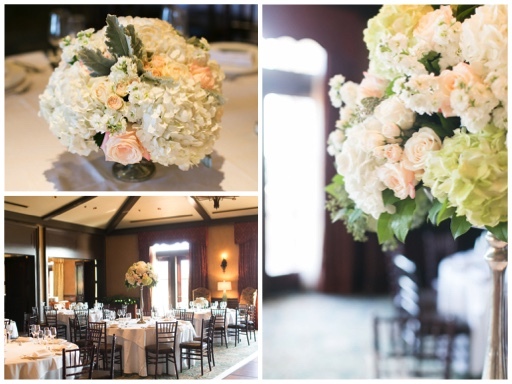 Two stunning arrangments made of white, green, blush, and ivory flowers were at the altar. 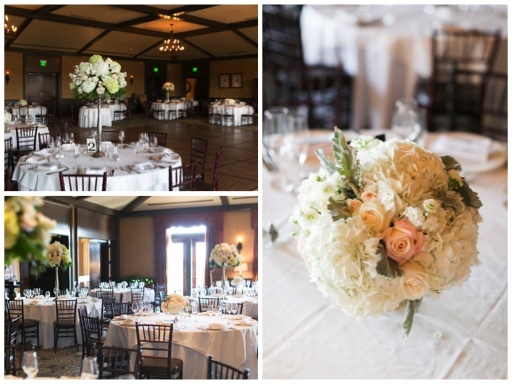 The flowers included hydrangeas, roses, stock, spray roses, and touches of seeded eucalyptus. 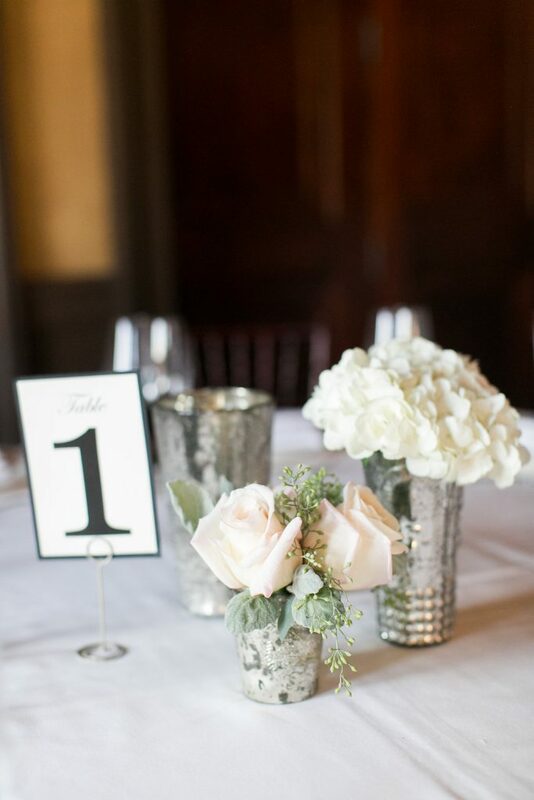 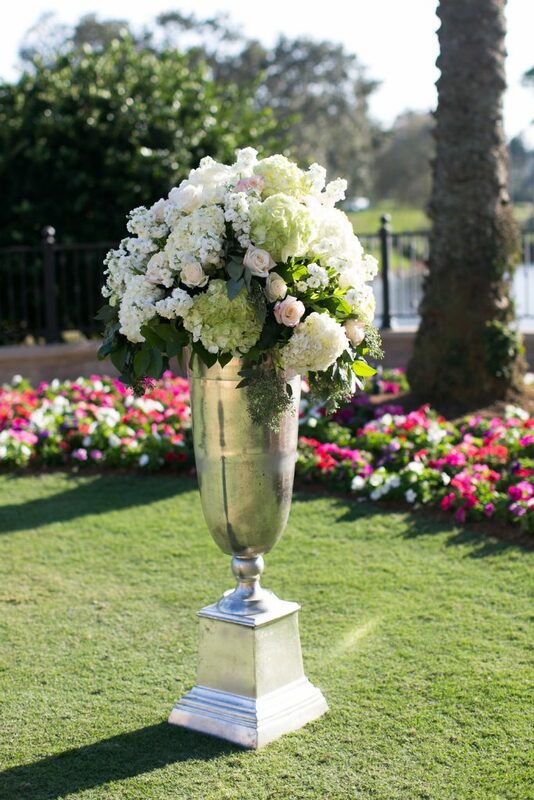 The low arrangments were created in silver pedestal vases with complimenting flowers. 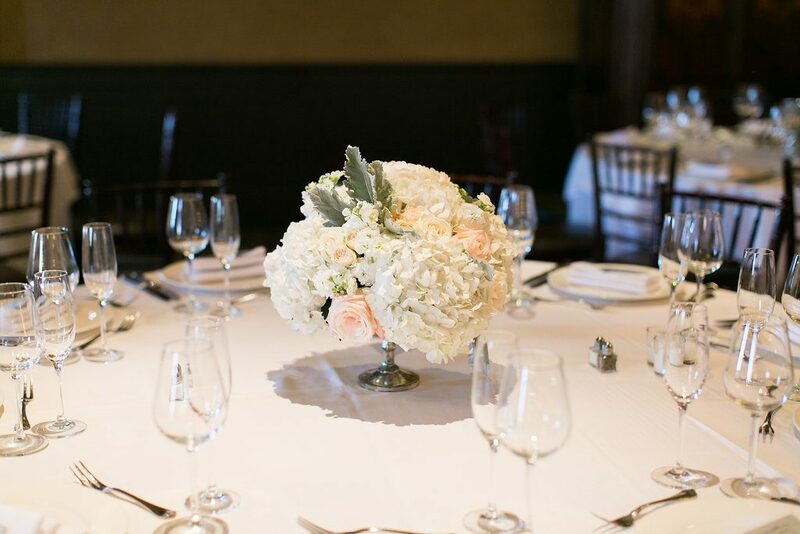 Other guest tables had vases which held a bridesmaids’ bouquet, a votive vase with complimenting flowers, and votive candles. 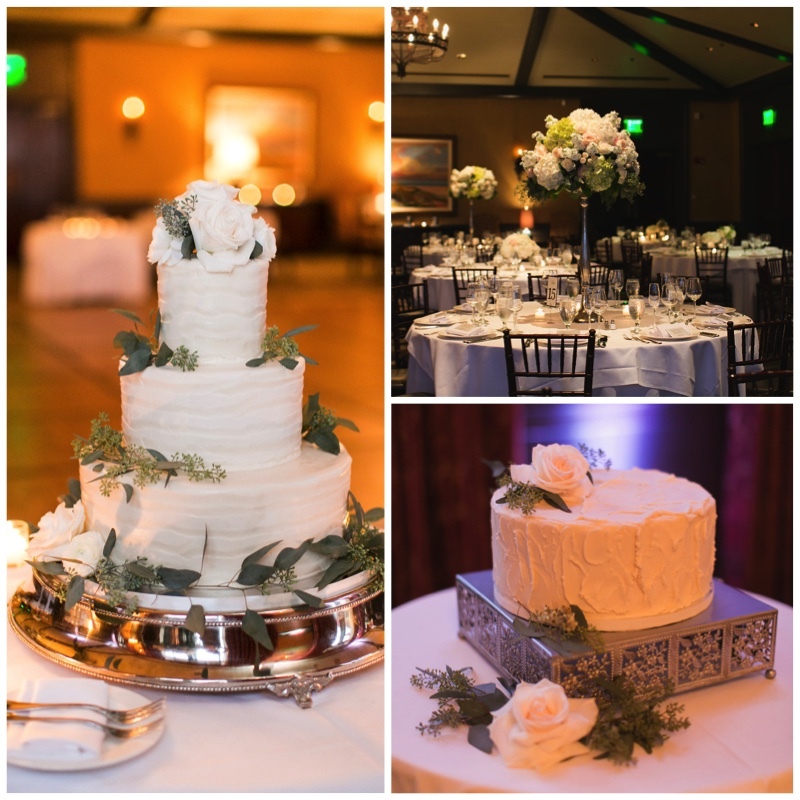 The cake was adorned with seeded eucalyptus that encircled each layer of the cake and accented with blush, ivory, and white flowers on the top.